Can you recognize singular and plural nouns? 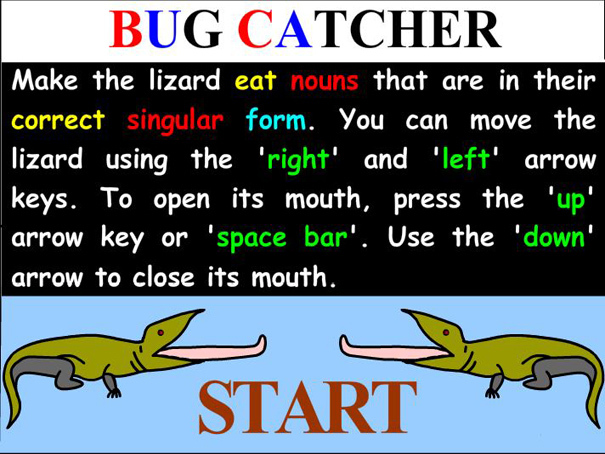 In this game you have to feed the lizard with nouns that are in their correct singular form. Use the arrow keys to move the lizard and the space bar to open his mouth.